Here’s a group of young boys living at the Dayanilayam Hostel where Roger and I have so often stayed. Look closely at the picture. What do you notice? They may be a little dusty, but these boys have clothing that is in good repair and they have shoes. Their hair has been cut and they are going to school every day. They eat three meals a day although the meal is mostly white rice. They’re happy. All of this is due to the fact that people like you and me have shared from our resources to help those in need. 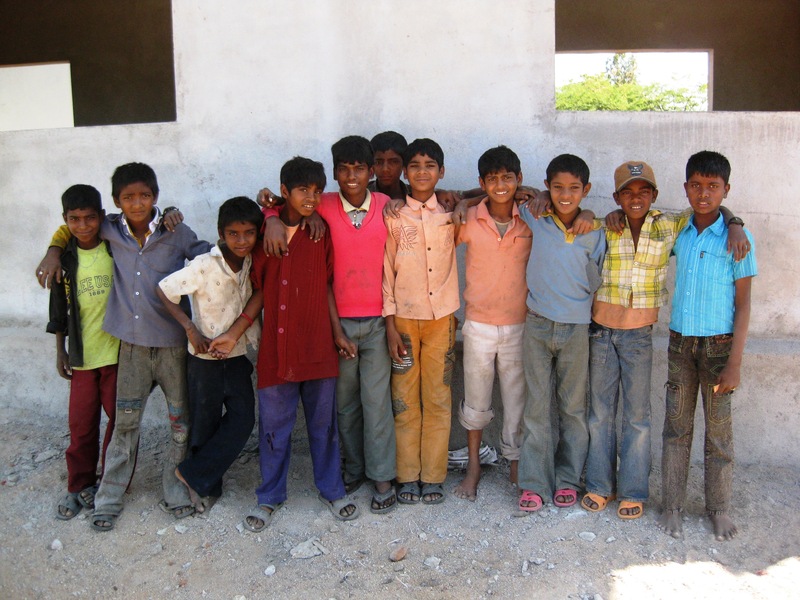 Without our sharing these boys would be living in villages where education is often not available. They might be scavenging in garbage to find recyclable materials, or learning to steal the things they want and need. Instead they’re being cared for in a safe environment and are hearing the Gospel of Jesus preached as well. They aren’t waking up in the night with the pain of hunger gnawing at their bellies. I wish they received a better diet, I wish their school had better teachers and I wish they had a playground and toys. But I’ve learned to be thankful for what is being done. Thank you, K.M. and Jayamani for all the years you’ve given to the care of these children. « What is One Handful of Rice?